Chrysalis Holidays is a not for profit company part of Epiphany Trust. 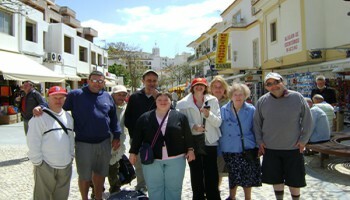 It runs themed and educational holidays for adults with a learning disability in the UK. It provides life-changing and life-enhancing experiences, enabling the young and not so young to participate in indoor and outdoor activities that are both fun and educational. Since 1991 we have offered a wide range of supported holidays throughout the year. Based on a variety of themes, there is something for all tastes and abilities. Our themed weeks include art and crafts, music, wildlife & nature, adventure, farming, transport, summer, Christmas and sensory exploration. All activities are led by qualified leaders to ensure a fun experience in a safe environment. Each week has a full itinerary for both daytime and evening. Individual needs and interests are always considered and people are encouraged to do as much as possible for themselves, making the holiday an active and not a passive experience. With around 90 holidays a year, there are often two, and sometimes three holidays each week providing 600 individual places and affording the guests an opportunity to take a holiday which they may not otherwise have and giving their families and full- time carers much needed respite. Chrysalis is currently a leader in supported holidays registered with and regulated by the Care Quality Commission.